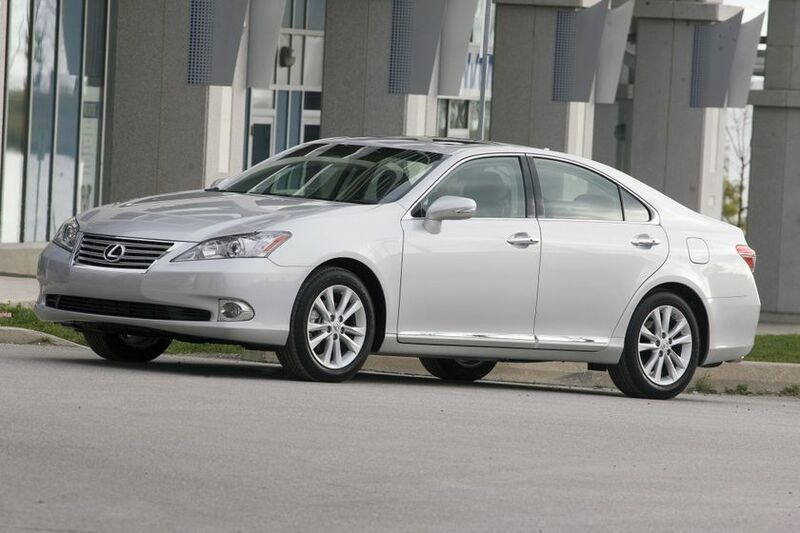 (TORONTO) – Canadians looking for a smooth and refined luxury sedan will be delighted with the 2010 Lexus ES 350, which benefits from an intuitive design, new standard equipment, and new audio and convenience features. The available Ultra Premium Package with Navigation adds more features, and it is now $400 less than the 2009 package it replaces. “The ES 350 presents subtle yet intuitively designed refinements and standard features that are more comfortable and useful,” said Larry Hutchinson, Director of Lexus in Canada. Redesigned elements, including: Headlamps; Fog lamps; Front grille; Front bumper; Rear combination lamps; Wheels. New exterior design elements include: chrome bodyside moldings; turn signals added to the exterior mirrors. New interior design elements include: enhancements to the wood trim and leather; improved console capacity and storage; integrated XM Satellite Radio. A new ECO indicator that allows drivers to maximize their fuel efficiency. The generous complement of standard equipment has been upgraded to include: Active Front Headrests with Whiplash Protection; Rain-sensing wipers; An off switch for the Vehicle Stability Control system; Bluetooth capability; an Eco-Indicator; Rear seat side airbags. 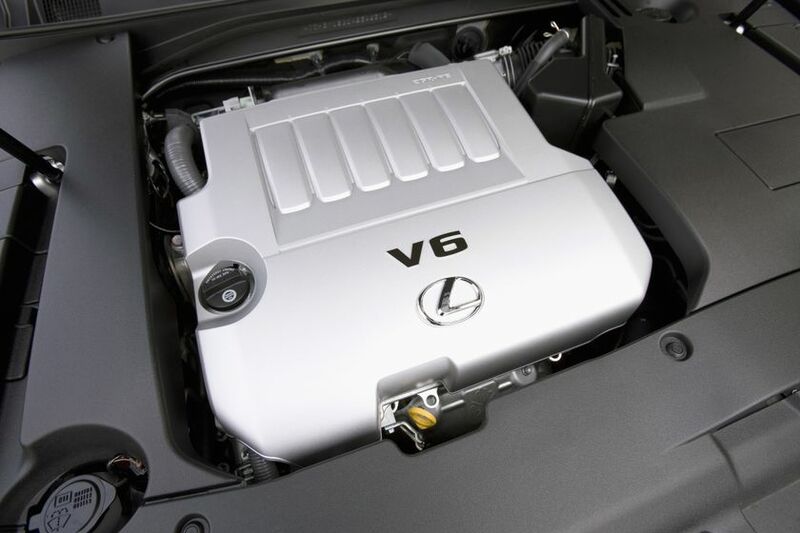 Powered by a 3.5L six-cylinder with aluminum alloy block, electronic throttle control system with intelligence and other Lexus refinements, this powerful yet smooth and efficient engine generates 272 peak horsepower and up to 254 lb-ft of torque, while achieving a Tier 2 Bin 5 emissions rating. In harmony with a six-speed automatic super electronically controlled transmission with overdrive and sequential multi-mode shifter, this power plant enjoys a combined city/highway fuel efficiency rating of 9.3 L / 100 KM. The addition of heavy duty starter, alternator, battery and heater, plus a stainless steel exhaust system, contribute to reliability and durability in Canadian winters. The front-wheel-drive Lexus ES 350 is guided by progressive rate power steering, while control is enhanced via the Lexus Vehicle Stability Control (now with off switch) and Traction Control technologies. Power assisted brakes – ventilated discs on the front and discs on the rear – are backstopped by the Lexus Antilock Braking System with Brake Assist and Electronic Brake Force Distribution. All ES 350 models ride on P215/55R17 all-season tires on 17” aluminum alloy wheels with wheel locks, and carry a full-size spare tire. The ES 350 sports a segment-leading 10 airbags, creating a veritable cocoon for driver and passengers in the event of an accident. Three-point lap and shoulder seatbelts in all five seating positions feature pretensioners and force limiters, plus front seatbelt anchor height adjusters. Active front headrests help protect against whiplash injuries, while younger occupants are secure too via anchor points for child seats and child protector rear door locks. 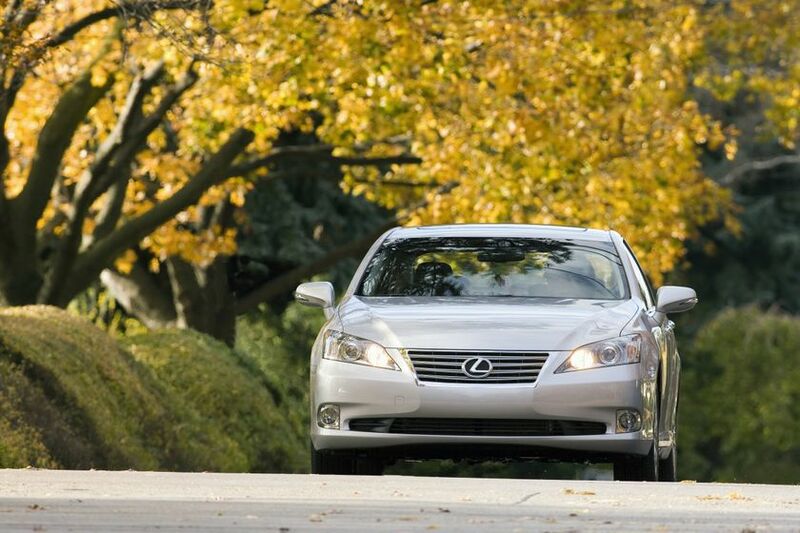 Projector style halogen headlamps with the Lexus light control system and fog lamps. The 2010 Lexus ES 350 is now on sale at Lexus dealers across Canada with a Manufacturers Suggested Retail Price starting at $41,950. The Navigation Package (MSRP $45,800) adds a USB audio input to the audio system, a voice-activated hard disc based navigation system with back-up camera, and upgraded heated driver and front passenger seats with ventilation fans. The ES 350 with Premium Package with Navigation (MSRP $49,150) is available at $400 less than the 2009 version that it replaces, it features all the above items, plus: Power-adjustable variable driver cushion length; Passenger seat memory system; Wood steering wheel and shift knob; Power rear window sunshade; Clearance and back-up sensor; High-intensity discharge headlamps with the Lexus dual-swivel Adaptive Front Lighting System. The ES 350 with Ultra Premium Package with Navigation (MSRP $52,000) creates the ultimate ES 350, featuring all previously mentioned options plus: Premium leather seat surfaces; A panoramic glass roof; An upgraded, Mark Levinson Audio system featuring six-disc DVD changer and 14 speakers; Premium aluminum alloy wheels.